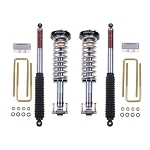 2007-UP Boss Coilovers fits your GM 1500 truck. 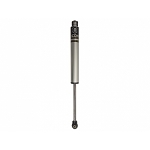 1-3" of adjustable lift. Clear blue zinc chromate steel shock bodies. 700 lb/in Eibach Silver coil spring. Live in an extreme area where snow and salts are used...For extra protection Get them wrapped with our Black vinyl CarbonWrap. Don't live in a harsh environment but just like the CarbonWrap look, why not, get them wrapped! Free shipping is only in the USA to the lower 48 states. Highly recommend this company and their products. Install was straight forward and the quality of the product is hands down great! I am completely satisfied with the ride and result of the Coilovers! 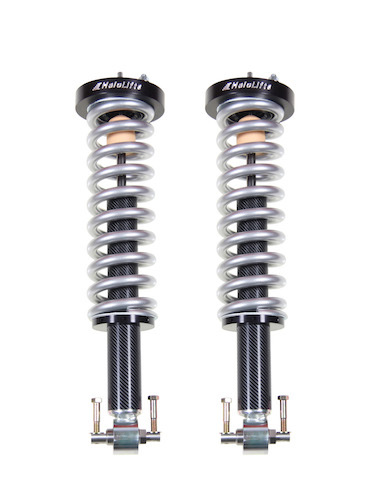 2009 Silvy with Boss Coilover 0"-3"
Ordered these from HaloLifts to replace the Bilstein 5100s I installed last year. 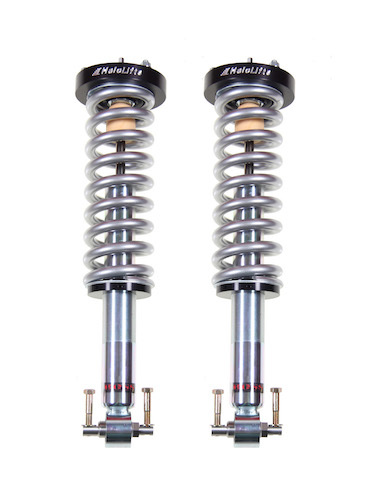 Since these coilovers are manufactured for lifting the truck as an entire assembly, instead of retaining the factory spring, they gave me back the ride that I purchased my Chevy for....smoothness. 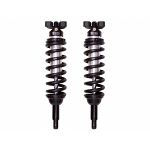 Most people expect to lift a truck and create a stiffer ride, but these new Boss Coilovers are anything but stiff! Finally have my stock feel back to my truck....I am totally pleased. Also, if I have any questions, the guys at Halo Lifts have been more than accommodating with their time for my questions. Service before, during and after the sale....TWO THUMBS UP!! !